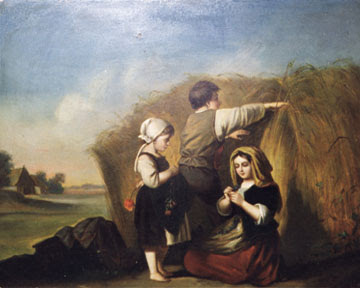 It was the custom for country children to help their parents in the fields, spinning or farming. They might have been bought an occasional toy at the hiring fair when their parents went to obtain new work, where at times gingerbread dolls and crude wooden toys were sold. Learning to play the girls' game of "Graces" in an elegant manner took practice. 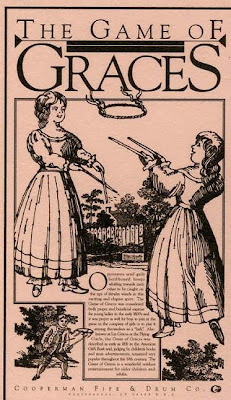 In this game, each girl used a pair of wooden rods to toss a beribboned hoop to her partner. 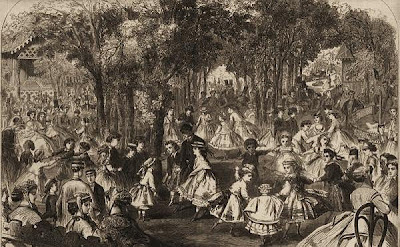 young girls waited upon their elders on picnics and other functions. 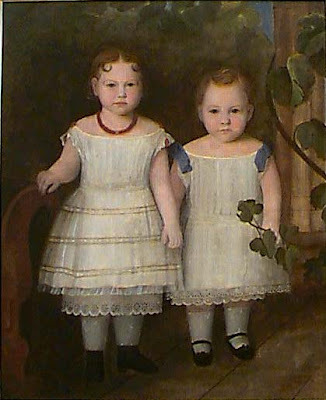 They were taught how to starch their own decorative linens, draw and press flowers and even wash the fine drawing-room china. 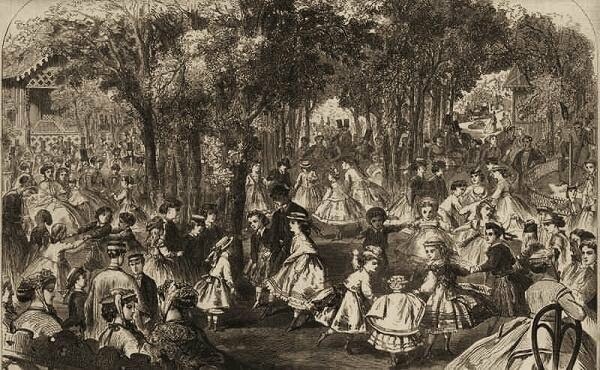 Another popular mean of teaching adult graces were at children’s balls that were held regularly.. A foreign visitor in England at the time commented on how “early they cease to be children ”they are as unjoyous and occupied with themselves as the grown ups around them. 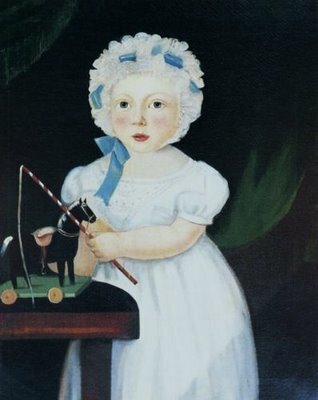 Though no longer dresses as miniature adults, the early 19th century child was now expected to behave like one.